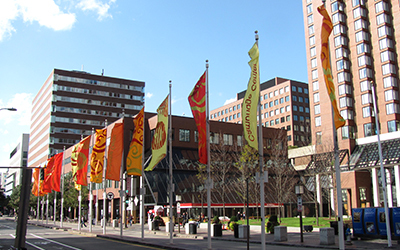 Located steps away from the popular Kendall Square, the Boston Marriott Cambridge Hotel is situated next to the city's top shopping, dining, and entertainment venues, and offers superb access to world-class institutions like Harvard University and MIT. Complimentary internet access will be provided in the ballroom throughout the course. Boston Marriott Cambridge has reserved a block of discounted rooms for course participants. The number of discounted rooms is limited. Discounted rooms are available on a first-come, first-served basis. The discounted room rate is only available until September 28, 2019, or until the block sells out, which typically happens well in advance of this date. Online: To reserve your room online, please use this dedicated reservation link. By phone: If you are calling the hotel rather than using the dedicated link above to request a discounted room, please call 617-494-6600 or 800-228-9290 and be sure to specify that you are enrolled in Harvard Medical School PCIM 2019.